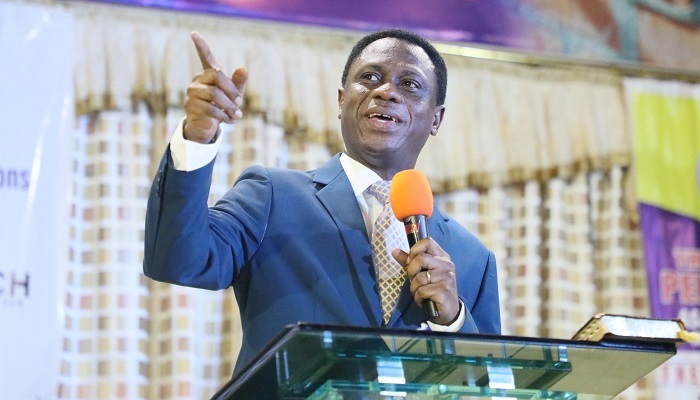 The Chairman of The Church of Pentecost, Apostle Eric Nyamekye, has entreated lay leaders of the Church to endeavour to desilt their choked wells [Holy Spirit anointing] to allow fresh living water to spring up from them to give life to the Church. Speaking on the “Life of the Church” at the Atonsu Zone of the Asokwa Area 2019 Apostolisation at the Atonsu Central Auditorium in Kumasi on Thursday, March 21, 2019, the Chairman stressed the need for leaders of the Church to be on fire at all times to have a rippling effect on the members. Quoting from John 4: 5-15, Genesis 26:15-18, Genesis 7:11, Acts 2:1-4, the Chairman indicated that just as Isaac managed to dig all his father’s wells that were blocked by the Philistines in the midst of strong opposition and subsequently had a bumper yield, church officers should make a relentless effort to dig their spiritual wells so that living water will gush out from them. According to him, when the living water is overflowing in them, the church will be revived, spiritual gifts will abound, and the members would find warmth under their tutelage. Apostle Nyamekye pointed out that the sealed wells can be opened up by spending quality time with God through effective prayer, fasting and meditation on the word of God. He charged lay leaders to stay awaked so that the enemy will not sneaked in to cover their wells. He noted that the moment the wells are sealed up, they will operate ordinarily and the local church will experience stunted growth. “We should rekindle our cherished Pentecostal power by going back to the real Pentecost. You have the real power in you. Pentecost is note a joke, its life and power. It should not let it die,” he stressed. 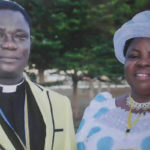 The Chairman stated that as part of the effort to possess the nations, it behoves on officers of the Church to keep the Pentecostal fire in them burning so that they can transform every worldview with Kingdom power, values and principles. He added that the Church has a critical role to play in making Ghana a corruption-free nation by ensuring that they reflect the Christlike values in them. Apostle Eric Nyamekye seized the opportunity to applaud officers of the Church for their selfless services to God and Church. He explained that officers who are numbering over 110,000 worldwide are indispensable in the affairs of the Church, because the successes and growth of the Church largely depends on them. He urged them to continue to serve faithfully since the Lord who has called them will honour them accordingly.